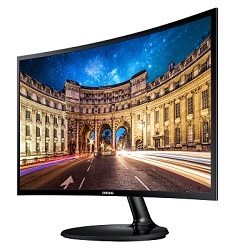 Features Samsung's curved panel technology to provide a more comfortable viewing experience. 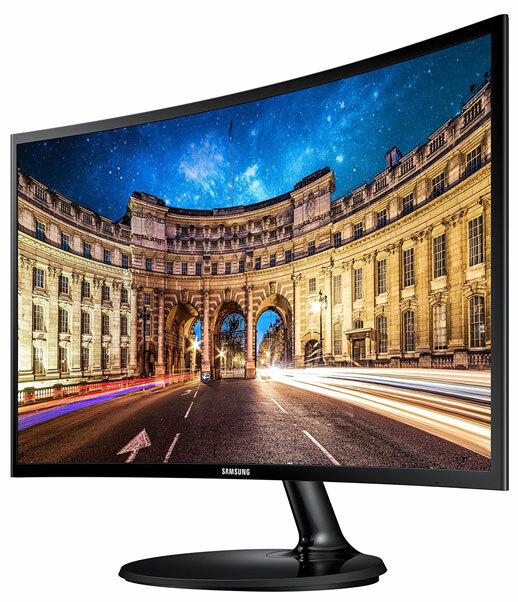 The Curved 390 Series features Samsung's curved panel technology to provide a more comfortable viewing experience and less eye fatigue during long work hours. A slim VA panel provides a wide viewing angle with dark blacks, vivid colors and sharp details. The 27" curved screen is also perfect for dual or multi-monitor setups, with the combined curvature amplifying the viewing experience. All in an economical business monitor. Creates a pure digital connection between HDMI-enabled display devices and HDMI-enabled digital video sources. Mini DisplayPort / Thunderbolt to HDMI female 4K 6-foot cable. DisplayPort/HDMI for Audio/Video Device, TV, MacBook, iMac, MacBook Pro, Mac mini, Mac Pro.